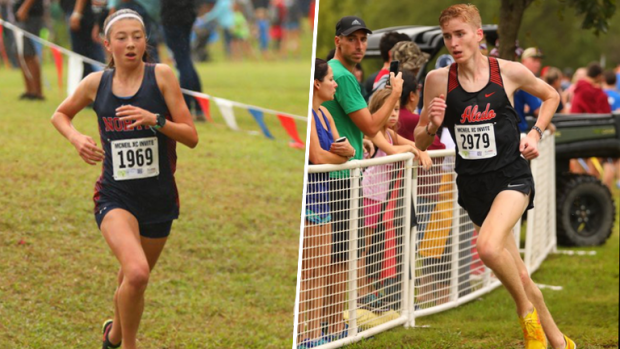 For the second straight year, the selections were the same for the 2017-2018 Gatorade Cross Country athletes of the Year. The duo of McKinney North junior London Culbreath and Aledo junior Graydon Morris both collected one of the most prestigious honors in any sport in any state. In its 34th year of honoring the nation's best high school athletes, the award, recognizes not only outstanding athletic excellence, but also high standards of academic achievement and exemplary character demonstrated on and off the field. Culbreath actually collected her third consecutive Gatorade AOY honor. She won her first back as a freshman when she started her streak of winning UIL 5A state cross country championships. This year, she added her third state title. She also qualified for NXN for the third time as well as the Foot Locker Cross Country Championships in her first attempt. In qualifying, she first had to win both South Regional championships meets in consecutive weekends. While winning her third Gatorade award, this was perhaps the closest race for the award for Culbreath. The quality level of running on the national scene by Texas girls was outstanding. In the In the end, winning McNeil, state, both South regional titles, her GPA, and community service was enough for the honor. The race for the boys honor couldn't have been an easy decision this year either. Yet, Morris was able to win his second consecutive UIL 5A state championship and finishing third overall at the Foot Locker Cross Country Championships combined with his GPA and community service was enough for another honor. Since the program's inception in 1985, Gatorade Player of the Year award recipients have won hundreds of professional and college championships, and many have also turned into pillars in their communities, becoming coaches, business owners and educators.